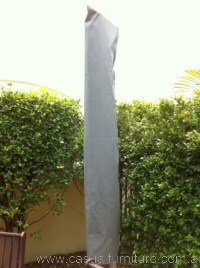 If your aluminium chairs or sunlounges need new slings, The Aussie Repairman supplies a service that will give you replacement slings in the post. “Send us the old slings, and we will copy the pattern, make slight adjustments for sagging, and return sling sets that will have your old furniture looking new again. This entry was posted in Uncategorized on April 29, 2017 by Fibre. We get some strange jobs here at times – giant teabags, pond liners, water catchment bags, boat bladders, jumping castles and the lists go on and on. We have been used by a film company recently to create some giant 5-pointed stars to be used as targets on a beach when skydivers jump out of planes or helicopters. These were for the filming of “get me out of here, I’m a Celebrity”. They wanted something 6 metres across, bright and bold, and quick. Here is the yellow one. This entry was posted in Uncategorized on June 11, 2014 by Fibre. Yes, we do keep foam on hand. We generally have full sheets of popular thicknesses, 50mm, 75mm, 100mm thick, and also various densities, for firm seating or softer foam for backs. Quick-Dry foam, that allows water to flow through, and Fire-resistant foams are also available. Special shapes and sizes are possible, and offcut bins have some smaller, cheaper pieces. 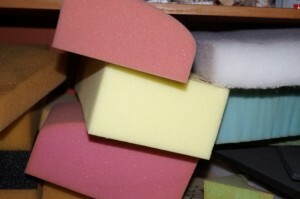 Foam “crumbs” are also available (small pieces to fill odd shapes). Some people like to use them instead of the polystyrene balls in bean bags because of a lesser choking risk. This entry was posted in Uncategorized on May 24, 2014 by Fibre. Is your canvas bag or tent getting less waterproof? “Dynaproof Canvas Reproofing Formulation” is effective for restoring the waterproof qualities and mildew resistance of weathered canvas products. A solvent-bases and a water-based formulation is available in containers ranging from 1 litre to 20 litre drums. This entry was posted in Uncategorized on October 9, 2013 by Fibre. I have been surprised by the number of soft-top cars that have been in for repairs lately. We have had an Audi, a Volvo and a BMW in quick succesion requiring repairs to the back windows. We have been able to seal and reglue successfully. 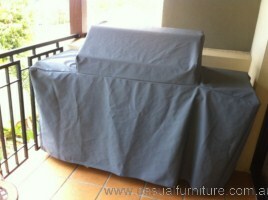 supplying cloth-backed vinyl for an upholstery job. Innova SUPELLE had the right colour (soft yellow), but we had samples of Pacifica, Capri, Cordova, Supra, Terra Nova and many more to choose from. Therer are some fabulous colours out there. We can sell by the metre. supplying some Quick Dry Foam for cushions. There is never 2 days the same in this business!! This entry was posted in Uncategorized on August 22, 2013 by Fibre. The wild weather certainly hit the eastern coast last weekend. We had 1 staff flooded in, lost a palm tree and shade structure in our home yard, but otherwise safe and sound, with little disruption to the business. Plenty of shade sail repairs, and new canopies for umbrellas. We are getting better with umbrellas, and had a quick turnaround of structural repairs, too. Several struts and arms needed replacing, and we even replaced the centre poles on a few umbrellas – bent in the high winds. A few re-stitching jobs on shade sails, and I think we are about to get busier as people get the ok from insurance companies. We’ve also had a few caravans and campers in for repairs to Awnings and Annexes. We can also custom-make Annexes as well as supply new awnings and parts from Domestic, Aussie Travellers etc. This entry was posted in Uncategorized on February 2, 2013 by Fibre. This entry was posted in Uncategorized on January 10, 2013 by Fibre. Welcome to Coastal Canvas & Vinyl Fabrications. Some of the Canvas-work was being done here anyway, and when Coast Canvas & Vinyl Industries closed down just before Christmas 2012, we decided to ramp up our capabilities. We do High Frequency welding, Hot Air welding, some plastic welding, industrial sewing, and already have completed work on Caravan Awnings and Annexes, Tonneau covers, Shade Sails, Umbrellas, blinds and much more. This entry was posted in Uncategorized on January 2, 2013 by Fibre.